In yet another movie this year, I get to go “17 Years ago…” we were introduced to this world and this character. Things really haven’t changed much in a lot of respects. When Jackman was cast no one wanted him in the fan community. He’s too tall. He’s not stocky enough. Cast Glen Danzig, were just some of the many things being said. Granted the only casting at the time that anyone really felt was right was Patrick Stewart as Professor X, at a spry 60 taking the role of the iconic character. Granted since 1987 when Star Trek: The Next Generation aired, he instantly made the top of everyone’s who to cast list. Now, we are hard pressed to think of anyone but these two in these roles. I mean look at this opening. Sure there have been calls for Jackman to retire after the past three movies. People have been getting tired of Wolverine and the X-men which the movies had become for a bit. The first spin off movie X:Men Origins Wolverine was absolute garbage which didn’t help. Too few people saw the redeeming The Wolverine in 2013, or its even better directors cut on DVD. Then there were rumors of “Old Man Logan” being adapted, but nary a still or production debacle to make the waves. Then the trailer was released and we realized we may have something good. A tired Logan, an aging Charles and a world that wasn’t quite as familiar. Oh and one of my favourite characters – X-23, which came as a complete and happy surprise to most people. When that trailer dropped people lost their minds “is that X-23?” then they confirmed it…and the hype train grew to the tones of Johnny Cash. 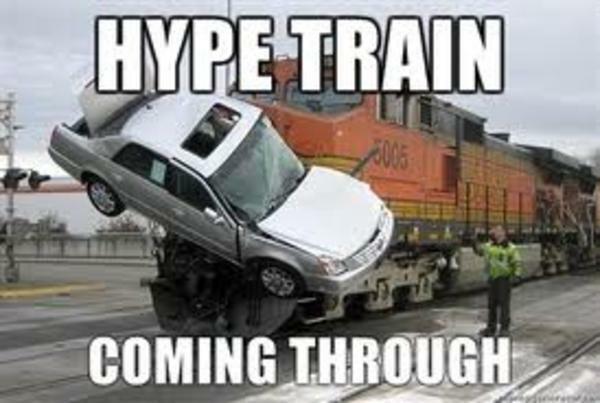 So should you board the hype train? Let us discuss the writing. 3 Writer rule – revoked for this one. Scott Frank (The Wolverine, The Lookout, Get Shorty) gets a screenplay credit with Michael Green a TV (The River, American Gods, Kings) producer who has his own share of screenplay listings (Green Lantern, Alien: Covenant, Blade Runner 2049). Additionally director James Mangold (The Wolverine, 3:10 to Yuma, Walk the Line) has both story and screenplay ties. So Mangold comes up with the story he wants to tell and then the others are brought in for polish and adjustment. Based on what I saw, probably by Mangold himself as there doesn’t seem to be significant tonal or story shifts as the movie progresses. Significant ones. There are a few beats, a few story elements which seem to clash with the overall film and some near unnecessary third act exposition but it doesn’t detract from the overall story being told. It is a good story. One we haven’t seen a hero movie do before, or at least not in awhile. I was literally commenting to my sister the other day – “When is Hollywood going to remember bigger isn’t better with the bad guys? That not every plot has to be an end of the world. Sometimes smaller is better.” You see if the stakes get too high and you stop caring. You know they won’t destroy the world. You can’t have a sequel that way. Mangold apparently knew this and rather than a bombastic end of world apocalypse, he tells a smaller story. A story about people, about life, death, and hope – just with the lens and world view of a tired, bitter old mutant who has seen and done too much. The story is good and so is the direction. I found no camera angle wasted. No colour palette bled. Every beat existed for a reason that I could tell. Some last a few too long, true. Some will complain about the pacing not being as quick as others. That’s the point. The director wants you to spend time with the characters, remember them, and feel them again as you did back in 2000. He wants you to learn about Laura in her own way through careful interaction that is well crafted and bothers to show who and what she is without exposition. The acting is spot on from our two stars we know. Jackman didn’t phone this in and Stewart looked like he was having the time of his life, despite what I would guess for both of them involved at least 3 hours in the make up chair each day. Jackman lets his characters age show in every moment. Stewart steals the show as a 90 year old Xavier in every bloody scene he is in, but there’s quiet competition from Dafne Keen (The Refugees) as Laura aka X-23. The 12 year old (11 at filming) Spanish actress is once again why I will say child actors can be just fine – bad direction and bad scripts are the problems (sometimes). She gets added to the list of young actresses who really make a mark in a good film. I don’t know if she did her own stunts, but if she did I am even more impressed. I’d like to say the villains of the piece leave as much a mark but in what is quickly becoming tradition – they don’t. I think that is ok in this case as they are but a catalyst for the story not the be all and end all of the story. Richard Grant’s (Bram Stokers Dracula, Dig) Dr. Rice is passable just as Boyd Holbrook’s (Narco’s, Gone Girl) Pierce. Pierce is a nice change of pace for a villain though as he does show intelligence, cunning, and actually using his brain. I liked him, but will quickly forget him. That’s ok. Again, as it’s worth repeating the story here is only driven forward by the villains but the focus is where it should be – Logan, Laura, Charles. On to the technicals? Have you heard the phrase “a hard R” before? Ok short version it means that they are going for an R Rating that really can’t be disputed. I think they went for a soft NC-17 just to get the R rating. Every F— they couldn’t use in all the other movies were saved up here. Oh and a vicious and violent Wolverine movie that was being asked for. Your wish is bloody granted! Heavy emphasis on bloody. Not gory though, just brutal and ferocious as the character deserves – both of them. Yes, if you’ve seen the trailers Laura is just as violent and you will love the movie more for it. The make up effects are good and a lot of practical to cherish. The movie deserves the praise it is getting from audiences and critics alike. It is absolutely savage in its many, many take downs. The action is clean (ish). The story good. The movie lets you breath. It’s shot really well. The movie proves Fox is getting it as with half the budget of Civil War, Batman v Superman, Amazing Spider Man, Man of Steel, Ultron, Dark Knight Rises – they made a far better movie. It isn’t some over the top send off for beloved characters, but instead a tighter picture with a lot of restraint. It should remind you of a good western; the movie hits you over the head with it a few times in case it doesn’t. It also goes on to prove GRITTY and REALISTIC doesn’t mean grey, bland, dirty. You can have colour AND grit. Pay attention to that lesson and that lesson alone. While I haven’t yet watched Movie Bob’s review, I agree with his title: Don’t try to make this again. It worked for a variety of factors, not the least of which was 17 years of investment. If you feel the need to emulate it learn how to focus on the characters – not bigger/badder – XTREME (missing “e” intended). Yes. Please. Let this make all the money this month. Let this make all the money this part of the year. Let them know they were right to make it this way. If I can talk folks into seeing it with me? Yes. Depends – did you think Deadpool was watchable for them? Thats the benchmark. It is good ol fashioned violence, blood, and foul language. Even Robocop would be impressed. FYI – this would have been PG-13 in the 80’s….maybe an R. Maybe. Guys, I gotta tell you this movie is the best one I have seen this year. I will be surprised if it doesn’t stay in my top 5 through the year. It made me feel something more than once and for a superhero movie – that is saying something.